Hi everyone and welcome to my stop on the Blog Tour for THE LIARS by NAOMI JOY. Thank you to Aria Fiction for the invite to be a part of this Blog Tour. This book is published today so be sure to get your copy! Ava Wells is perfect. She has the boyfriend, the career, the looks. But one night changes everything and her life suddenly isn’t so seamless. I enjoyed reading about the relationship and friendship between the two characters in this book and all the lies and secrets they had. This book is full of lies, deception, betrayal and revenge. What more could you ask for in a book? Two women working for the same boss, who is very unlikeable, and both girls are vying for the same promotion. Both determined to get the promotion, and doing what it takes to make sure they come out on top. For a friendship turned sour, could you trust that one person who knows your secret and can destroy you in a second? If you’re both vying for the same promotion at work, would you tell their secret so you get the promotion? Could you trust that they will not do the same thing to you? I enjoyed reading about the dynamics of the two girls in this book, and it gave me a mean girls vibe. An enjoyable read from beginning to end, full of secrets and lies, this book will have you flipping through the pages to see what’s up next. Thanks so much for dropping by on my stop of the blog tour. I hope you have enjoyed reading my review and enjoy the book. Thank you to the publisher for gifting me a paperback copy of this book to read and review. Addictive, gripping, nail-biting! WOW this book was amazing! I found myself hooked from the very first page. The pages turned themselves as I found myself immersed in the storyline wanting to know what would happen next. From one addictive chapter to the next, Swanson takes you on one heck of a ride to the very shocking, twisted end! Imagine living next door to a couple who you slowly begin to become friends with. They invite you over for supper one evening and you discover something in their house that makes you curious and question if you truly know your neighbours. Well Hen did exactly that, and now curious, she finds herself determined to uncover the truth. But is she right to be suspicious of what she found and question her neighbours, or is it all in her imaginative mind as she finds herself on yet another downward spiral of her mental health? With such an unreliable main character as Hen, this makes for an amazing book as we find ourselves questioning if Hen can truly be believed. Hen was a very likeable character. She loved her husband and seemed like a very sweet, friendly and sincere woman. I liked her character and enjoyed reading about her determination to uncover the truth about her neighbour whatever the cost. I also liked Hen’s husband Lloyd. He truly seemed to care for his wife Hen and wanted what was best for her. Without giving too much away this book takes you on a crazy journey, so be sure to strap in tight, you’re about to go on a wild ride! From one shocking twist to another, you’ll find yourself hooked on this book page after shocking page. 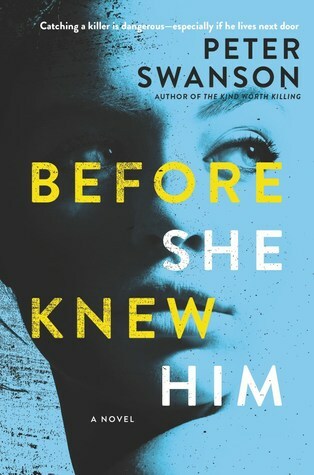 This was the first book by Swanson I have read and I enjoyed this book so much I went out and got all of Swanson’s other novels. Make sure you read this book! You’ll absolutely love it! Thank you to the publisher Minotaur Books for gifting me a paperback copy of this book to read and review. 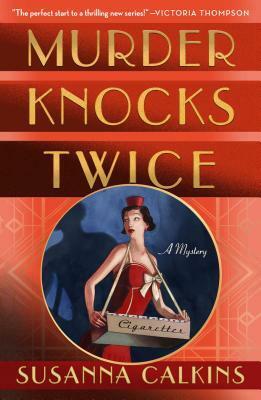 Gina Ricci takes on a job as a cigarette girl to earn money for her ailing father–and to prove to herself that she can hold her own at Chicago’s most notorious speakeasy, the Third Door. She’s enchanted by the harsh, glamorous world she discovers: the sleek socialites sipping bootlegged cocktails, the rowdy ex-servicemen playing poker in a curtained back room, the flirtatious jazz pianist and the brooding photographer–all overseen by the club’s imposing owner, Signora Castallazzo. But the staff buzzes with whispers about Gina’s predecessor, who died under mysterious circumstances, and the photographer, Marty, warns her to be careful. When Marty is brutally murdered, with Gina as the only witness, she’s determined to track down his killer. What secrets did Marty capture on his camera–and who would do anything to destroy it? As Gina searches for answers, she’s pulled deeper into the shadowy truths hiding behind the Third Door. I enjoyed diving into the world of speakeasies during the 1920s in Chicago. This novel was a nice, light read that explores a big of the past as we are introduced to many characters and employees of the notorious Chicago speakeasy – the Third Door. We get glimpses of the past and what life was like during the 1920s. We are introduced to a variety of interesting and complex characters – from Gina Ricci who takes on a new job at the speakeasy to make money to help with her ailing father, Marty the photographer, Signora the club owner, and many more. Gina was a friendly and likeable main character and I loved the fact that this book had a female lead. While reading this book I felt as though I myself were sitting right there with them in the speakeasy, and it felt like I was a part of the whole story. This book was an interesting read from beginning to end, that I quite enjoyed. Who Killed Marty? Why would they want him dead? Will Gina be able to uncover the truth? Thank you for reading my review. I hope you enjoy the book. 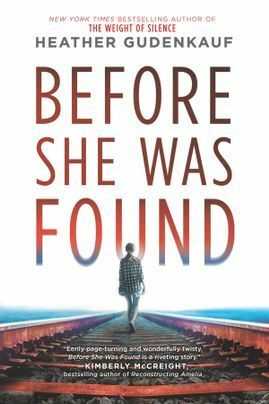 Thank you to the Publisher for gifting me a beautiful paperback copy of Before She Was Found by Heather Gudenkauf to read and review. Gripping, thrilling, shocking, and one heck of a ride! Before She Was Found was all of this and more. This was the first novel I have read by Gudenkauf and it definitely will not be the last. Heather has such a way of writing that grabs your attention and demands it the whole way through. I flew through this book in just one day, I was so deeply immersed in the book and wanted to know what would happen next I was unable to put it down. Three 12 year old girls – Cora, Violet and Jordyn – are having your typical teenage girl sleepover. They talk about boys, life, watch movies, etc. But what starts out as a typical sleepover turns into not – so – typical, as they decide to head to the old railroad tracks in town. I really enjoyed reading the diary entries of Cora. It gave us a glimpse into her life and the way she feels and the way she views things in a way that the story is unable to. I enjoyed reading about her life through her eyes and experiences as she lived them, and we got to know her deepest and darkest feelings. We were able to get hints of her declining mental health as well which I feel were extremely important to the novel. I enjoyed the urban myth vibe to the storyline as well. The three girls were trying to see if the urban myth was true, and I found it intriguing as the story unfolded. The ending was a huge surprise to me. I didn’t see that coming at all! Without saying too much and giving anything important to the story away, I really enjoyed this book. Great job Heather and I look forward to reading more of your novels. Thank you to Thomas & Mercer for gifting me an eARC copy of this book via NetGalley. 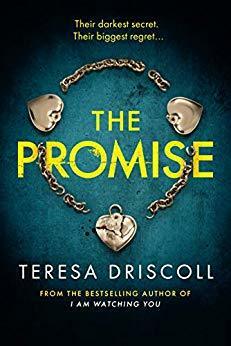 The Promise is full of surprises and shocking revelations. Imagine making a pact with two of your closest friends, promising to keep it a secret. Something so dark and horrible, you vow to never tell a soul. Will you be able to trust one another not to spill the beans and reveal your darkest secret? I found this book to be a slow burn for me. The premise and plot of the book was interesting, but I found many parts to be quite slow paced and it took me some time to get into the book. I found the beginning of the book especially to be slow to lead up to the full plot, which is fine, but I found myself wishing the pace would pick up sooner than it actually did. I found myself struggling to get through the first part of the book because it was so slow paced for me, which is fine, but I personally prefer faster paced novels. I found the dynamics of the three friends – Beth, Sally and Carol – to be interesting. When you are young and so close to one another and vow to keep something secret, will you be able to keep that promise some 30 years later? After all, they are no longer young girls but are now women. People change, don’t they? People grow up, personalities and responsibilities change, and so do priorities and values. Thank you for reading my review. I hope you enjoy this novel, on sale now. Thank you to the Publisher, St. Martin’s Press, for the eARC copy of this book via NetGalley. Addictive, thrilling, and full of shocking twists and turns. 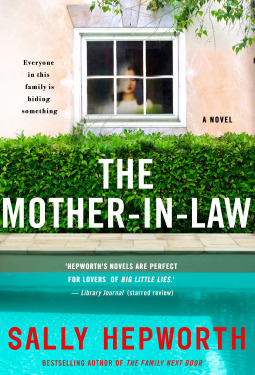 The Mother-in-Law is the first book by Sally Hepworth that I have read and it will definitely not be my last. This book had me flipping through the shocking pages to see what would happen next. What is better than a family drama that is full of lies, deceit and betrayal? Full of secrets, it seems no one is being honest with themselves, let alone the rest of the family. When everyone is hiding their fair share of secrets, who do you believe? Is anyone innocent or are they all to blame? I enjoyed reading about the dynamics of the friendship, or lack thereof, between Lucy and her mother-in-law. I mean, who doesn’t want to get along with their mother-in-law and be accepted fully by her? And that is all Lucky wanted – to be accepted by Diana and feel that she was considered good enough to be married to Diana’s son Ollie and feel a part of their family. It should be easy enough, right? Well this is not the case. Lucy has a hard time connecting with her mother-in-law Diana, and Diana is not making it easy on Lucy. Diana seems aloof, cold an indifferent. Is it just Diana’s nature and the way her personality is, or does she simply dislike Lucy for no apparent reason? We are introduced to a wide variety of complex and dynamic characters in the book. We have Diana and Tom, who are married, and have two children Ollie and Nettie. Ollie is married to Lucy and Nettie is married to Patrick. With so many characters in this book who had their own reasons for disliking or even hating Diana at times, is one of them responsible for Diana’s death? After all, each of them have their own share of reasons for possibly wanting to murder her. Well job Sally. I look forward to reading your other novels. Thank you to the publisher for the ARC of this book to read and share my review. 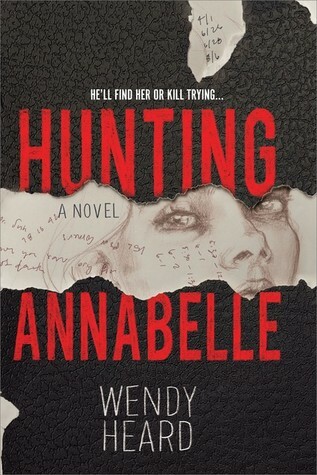 Hunting Annabelle follows the story of a young man named Sean. Sean lives at home with his mother, and spends his days drawing pictures of people as he watches them in a nearby park. He used to kill people but after spending 3 years in a psychiatric prison, and being on medication, he tries his best to ignore the temptation. one day while people watching in the park he meets a young woman named Annabelle. They begin talking and hit it off as friends. Sean really seems to like this girl, and she even seems to see past the monster that is Sean and enjoys his company and friendship. They begin to hang around together more and more, and seem to become inseparable. One day while they are together Annabelle suddenly disappears and Sean is heartbroken. He will do everything he can to find the person who took her and to bring her back to safety. However, everyone suspects him due to his past of killing people. He tries to convince everyone, including the police and his mother, that he had nothing to do with her disappearance. Who took Annabelle and why? This book was an interesting read with a good plot and storyline, but I found the middle part of the book to drag on a bit. The story picks up a bit again near the end, with a few twists I didn’t see coming, which made the ending quite enjoyable for me. Thanks for reading my review and I hope you enjoy the book. Thank you to the Publisher for the eARC of this book via NetGalley. Wow what a thrill of a ride this book was. A patient in a Forensics Unit, who is there for murdering her husband, who refuses to talk and is called “the silent patient”. I mean, that alone would make you want to read this book! How interesting of a book it was, and was a page turner. I found myself many times wondering why Alicia was refusing to talk. After all this time spent in the Forensics Unit, and still she refuses to talk. That really piqued my curiosity! Doctor after doctor, therapist after therapist, she would speak for no one. Then she meets psychotherapist Theo Faber. He is determined to work with the notorious Alicia and be the one to get her to talk. Will he be successful? Or will he fail like all the rest? 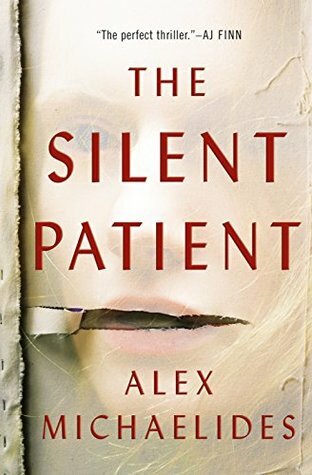 The Silent Patient was one heck of a ride as you read through the chapters and get an understanding of what happened that fateful night when Alicia’s husband was murdered. What truly happened that night and why will Alicia not speak of it? I loved this book and it had a complex set of characters in it. Alicia with her dark, and mute ways, Theo the psychotherapist with a dark, secretive past. What a fabulous book that was a pleasure to read. With many shocking twists that you will not expect, I hope you enjoy this book as much as I did. Be sure to read this book to find out! Thank you to the Publisher for the eARC copy of this book via NetGalley. I enjoyed this book from the very beginning. After Carrie finds out she is pregnant and decides to keep the baby, much to the dismay of her husband Adrian, the search begins for her replacement while she is away from work on maternity leave. The temp they choose, named Emma, seems perfect in every way. So much so, that Carrie begins to feel threatened by her. Does Emma want to replace her and steal her job from her for good? Does Emma have a hidden agenda? Or is Emma simply innocent, and is this all in Carrie’s paranoid mind? I enjoyed reading this book and enjoyed hearing both perspectives. Parts are told from Emma’s perspective, and parts are told from Carrie’s perspective. There is plenty of lies, deception and betrayal in this book that makes for a great storyline. Strap yourslef in for one heck of a ride, as you sail through all the twists and turns. I liked Carrie’s character. She seemed like a kind, loving, hardworking woman who was successful at what she did for a living. She also seemed to be a good mother after her child was born. Her husband Adrian, however, was much more unlikable. He was a very unkind, mean man who made no attempt really to be much of a father to their child, and seemed quite resentful and regretful of the fact that Carrie got pregnant in the first place. I was shocked throughout the book when I read the various twists and turns, especially near the end when the real shocker of a twist in the story is revealed. I did not see that coming at all. What a great twist it was! 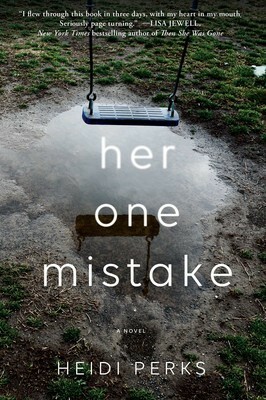 Thank you to Simon and Schuster Canad and Gallery Books for this eARC copy of Her One Mistake via NetGalley. Addictive, fast-paced and thrilling! This book had me hooked! Harriet and Charlotte are friends. They have children around the same age and one day Harriet asks Charlotte to watch her daughter Alice for a few hours. This is a big deal for Harriet, because she rarely lets her daughter Alice out of her sight. She is a very protective mother, and is nervous about leaving her daughter in the care of someone else, even if that someone is her best friend. What should have been a fun filled day at the school fair turns into a tragic event, as Charlotte only took her eyes off the children for a second and then suddenly Alice is missing. Where did she go? Charlotte swears she looked away for that one brief second, and the unthinkable happens! Charlotte feels horrible, as it was under her supervision that Alice goes missing! Harriet is furious that her best friend could let such a thing happen and is devastated! The search then begins for missing Alice. Days go by and there are no leads, and no one, not even the police, seem to know where Alice has vanished. A page turner of a book that will have you sitting on the edge of your seat biting your nails as you flip through pages to see what happens next. Did someone take Alice? Who would take her and why? A thrilling ride to the very ending, which will shock and surprise you. I definitely didn’t see the ending coming and I loved it!